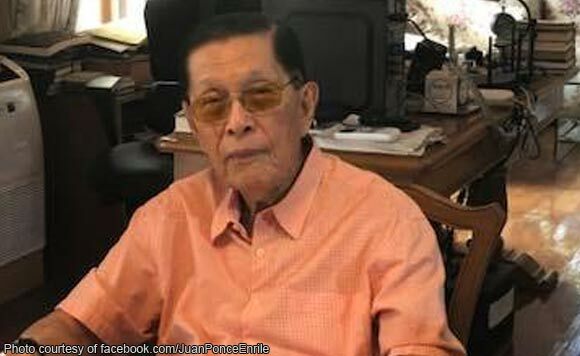 Former Senate President Juan Ponce Enrile on December 2 said there is no “justifiable reason” to declare martial law all over the country. The Cagayan politiko made the statement during CNN Philippines’ senatorial forum. “There’s no justifiable reason to declare martial law over the country. Because the police and the military are capable enough to maintain order,” Enrile said. “Kung wala na pong labanan sa Mindanao, at wala nang… there’s no more threat to the peace and order in that area, there’s no need to extend martial law,” he added. Enrile previously supported the Duterte administration’s declaration of martial law in Mindanao and its extension.